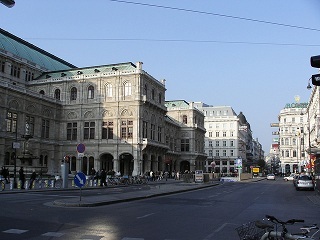 Austria is considered as one of the most desired destinations for international job seekers. There is a lack of local labor for many sectors in Austria, so it offers job vacancies for foreigners in construction companies, healthcare sector, tourism, hotel chains, restaurants, vehicle and parts production companies, banks and insurance companies. There are many job opportunities in Austria for a well qualified job seekers with a good work experience and required skills. If you are a foreign national seeking for a job in Austria, you stand a good chance of finding a job, especially if you are fluent in German language. Keep in mind that if you are not fluent in German, your options in Austria are limited to job openings for lower skilled workers in production or construction sector, in the tourism industry, IT industry, or job openings in an international companies, where English is a business language. Austria is a popular tourist destination and attracts more than 20 million visitors from different parts of the world every year, so there is a constant demand for local labor and expats to fill job openings in businesses such as resorts, hotels, restaurants, cafes, and local travel agencies. Employers in these businesses often hire expats fluent in other languages. 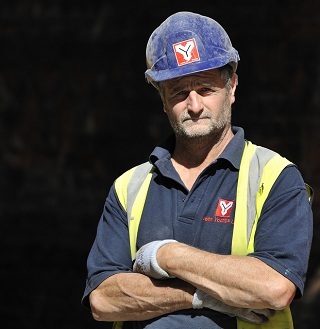 Many foreign-born workers in Austria are employed in the construction sector, industry and tourism sector because that’s the major driving forces behind the country’s economy. Foreign nationals in Austria have greater chances to find a job in these sectors, because there’s local labor shortages. The largest employers in Austria include a variety of companies within following industries: finance and insurance, construction, machinery, vehicles and parts, metals, chemicals, food production and wood processing, transport, and tourism industry (such as resorts, hotels, and restaurants). Huge number of foreigners works in an unregulated informal sector, which includes many professions from working as a maid to housekeeper, working as a dishwasher, bricklayer or beautician. Informal sector employs mainly low-skilled foreign workers in Austria. - Engineer there is a permanent shortage of following professions in Austria: Agricultural equipment engineer, Construction machinery engineer, Mechanical engineer, Power engineer. - Project manager – majority of project managers in Austria were employed in construction sector, but in a last few years, there’s a constant demand in all other sectors for this occupation. - Mechanics in Austria maintains and keeps various equipment available for use by inspecting and testing. This is in-demand occupation in various factories, such as vehicle and parts factories, food production factories, equipment production factories. - Cleaner in Austria - usually works in the hospitality sector – restaurants, hotels, resorts, also in companies involved with cleaning services. - Real estate agent in Austria providing help and assisting buyers and sellers in promoting and purchasing or renting property for the right price under the best terms. - Nurse healthcare jobs are permanently considered as shortage occupations in Austria. There is a high demand in private hospitals and medical centers in Austria for medical staff. Some medical jobs such as dentist, medical doctor, or surgeon are amongst the best paid jobs in Austria. There is a long-term lack of local labor for these jobs, so job opportunities in the healthcare sector in Austria are a great chance for foreign job seekers with a work experience in the healthcare sector. - Waiter in Austria usually works in restaurants. Work experience is not necessary, but employers usually demand fluency in German as the most important skill for foreign nationals. - Delivery driver in Austria – good job opportunity for young job seekers without work experience. The driver’s licence is necessary. - Technicians with a higher level of training for data processing, such as software developer, web developer, system administrator, security administrator, network administrator, are also in-demand occupations in Austria. There is a huge international demand for job opportunities in Austria, because they are very attractive, so the best chances to find a job is to apply only for a job openings that fits your profession and skills. Because of good salaries and working conditions, lot of people from abroad are interested in moving and working in Austria. The largest number of foreign workers in Austria is employed in some of the following sectors: construction, tourism, retail, production and manufacturing. It is important to understand that in Austria some occupations are regulated and other occupations are non-regulated. Some of the regulated occupations in Austria are: auditors, accountants, teachers, healthcare occupations, such as medical doctor, therapist, graduate nurse, workers in geriatric care, pharmacist, etc. Certain credentials acquired outside of Austria may not be recognized by relevant Austrian authority as equivalent to Austrian credentials. If you are a foreign citizen and your profession is one of those, there’s a chance that you will need to get the right professional and educational credentials recognized in Austria, before you can start working in Austia. Getting right credentials recognized in Austria can take a lot of time. If you reside in Austria and looking for a job, the best way to find a job is to use personal referrals, services of local recruitment companies, and classifieds in local daily newspapers. You can also use local job search engines in Austria. If you don’t reside in Austria and seeking for a job in this country, the best resources for job seeking are job portals and websites, online job boards and listings. You can also use online services for foreign job seekers of local recruitment companies. Some recruitment companies in Austria provide help with finding a job and planning career steps to job seekers from abroad. Job openings are often published in one of numerous daily newspapers in Austria like Kronen Zeitung, Heute, Klaine Zeitung, Österreich, Kurier, NEUE, Die Presse, and Der Standard. There are few specialized job search portals for job seekers and job search engines in Austria like Karriere, Arbeitsmarktservice, Job.at or Wienerjobs. You can use these job search engines, using terms like job titles, professions, company names, required skills or place to work to generate local job listings. Austria is the country located in Central Europe with a population of over 8,7 million. The territory of Austria covers 83.879 square kilometers (32.386 sq mi). Austria is bordered by the Czech Republic, Germany, Hungary, Slovakia, Slovenia, Italy, Switzerland and Liechtenstein. The official language is German, but English is also used, often as a business language in large international companies and in some tourist hubs. Fluency in German or fluency in English and at least basic knowledge of German will increase the chances of getting a job in the Austria. The official currency is the Euro, divided into 100 Euro cents, and wages and salaries are paid in this currency both for citizens of Austria and foreign nationals. Labor force in Austria includes about 4,5 million workers. About 67% of employees work in services, 28% in industry sector and 5% in agriculture. The unemployment rate in Austria is about 6%. 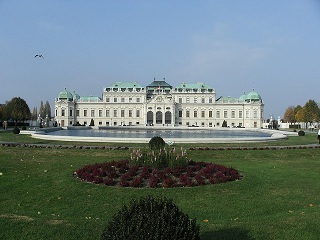 Austria is one of the richest economies in the world in terms of GDP. Migration affects Austria greatly, as it receives large flows of international migrants (mostly from European countries). Austria has a low unemployment rate, so main sectors, like tourism, construction, vehicles and parts production, food production, and chemicals, provide enough jobs both for local labor and skilled foreign professionals. 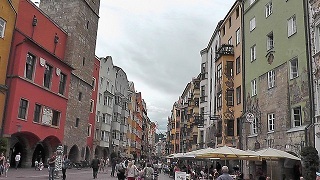 The majority of foreign nationals reside and work in the major cities in Austria: Vienna, Graz, Salzburg, Innsbruck, Linz, Klagenfurt, Villach, and Wels. Foreign job seekers are attracted to Austria by huge demand for labor, higher wages than in other European countries, good working conditions. About 15% of the population are foreign-born residents, mostly from Germany, Turkey, Bosnia and Herzegovina, Serbia, Romania and Poland. Working in Austria is a way for them to increase their monthly income, because wages in Austria are much higher than in those countries. It doesn’t matter if they employed as a low or high skilled workers , wages for foreign born residents in Austria are enough to cover their living expenses. The typical work week in Austria is Monday to Friday, with some stores and offices also open for a few hours on a Saturday, rarely on a Sunday. An average working hours per week is 38,5, with a daily maximum of 7,7 hours. Employers in Austria sometimes provide housing benefit for foreign employees, to help them pay rent if they are on a low income. It is important to find out if you need an Austrian visa or permit to live and work in Austria. If you're a national from one of the countries in the European Union (EU) or the European Economic Area (EEA) – that is, all the countries of the EU plus Switzerland, Iceland, Norway and Liechtenstein, you don't need a visa or other permit to live and work in Austria. For third country nationals, you must obtain work permit (Austrian work visa). Austria has a system known as the Red-White-Red Card, designed to grant residence based on qualifications and skills of potential incoming workers. There are a couple of different ways to qualify for this card, depending on applicant’s level of qualifications and skills, previous work experience and salaries, German and English language ability, etc. You must have a job in Austria lined up to get a Red-White-Red card. Your employer will be named on your Red-White-Red card. If you still don’t have sponsor (employer), there’s an option of getting Red-White-Red card Plus, which allows you to enter Austria while you still seeking for a job, but this type of card has a more strict requirements for foreign applicants. Owners of Red-White-Red card may apply for „Plus“ type of card after 10 months residing in Austria.